People have become increasingly interested in accessing information at their fingertips. As a result, they reach out to their mobile devices for desirable results. Besides, mobile now represents more than 60 percent of all digital media time. On the other hand, desktop receives around 30 percent of digital media time. We live in a mobile-first world, with more than 20 percent of people only using smartphones. In addition, we freely move back and forth between different devices to get the job done. Almost half the people that search the web do so through multiple devices daily. Therefore, it’s imperative for marketers to understand how cross-device usage impacts their lead generation and conversion rates. Tighten up your mobile-based conversion rate optimization with this insight. Google understands that cross-device usage impacts how search engine marketers create campaigns to reach users through multiple mediums. Therefore, it collected data on this subject and released it in a July 2016 statement. The Cross-Device Attribution Reports measure the conversion path between multiple devices. This insight can help marketers gauge the link between cross-device usage and conversion rate optimization. They take this into account: six out of ten internet users in the U.S. start shopping on one device but continue or finish on another. More specifically, Google introduced three interesting reports in the attribution section of AdWords. They touch on devices, assisting devices, and device paths. You can see how much cross-device activity is happening in your AdWords account with the Devices report. You can inform your device bid adjustments with the Assisting Devices report. Lastly, you can determine the top conversion paths for your customers with the Device Paths report. This change requested account owners to opt-in to sharing more data. Google desires to use browser activity with personal information by serving better ads. Agreeing to these terms lets Google know what you’re doing no matter what device you’re on. 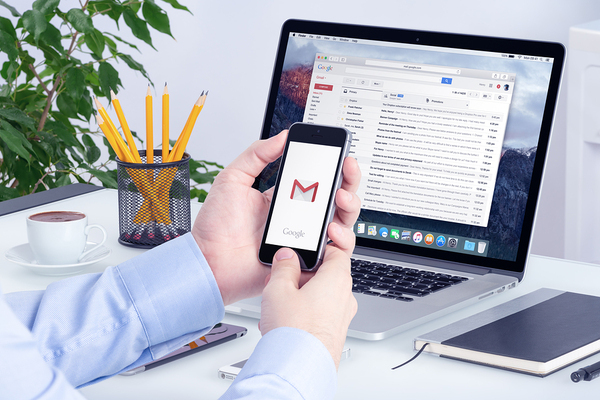 “That means DoubleClick ads following users from site to site can further cater to them based on whatever information they entered in Gmail. Google can build a complete profile, tying names and email details to browsing habits and search attempts, providing ads that are minutely suited,” according to Engadget. Can this policy change make a positive difference for marketers? It can. Marketers have the opportunity to reach specific audiences across multiple devices and channels. And this can all take place at the micro-moment they need to be there. In other words, they can better understand the relationship between cross-device usage and the delivery of ads. Although this change may be intrusive to users, it can point marketers in the right direction of conversion rate optimization unlike before. As a result, the entirety of search engine marketing can improve. Want to discover more about Google? Read how Google Testing Expanded Text Headlines for Ads.